In 2014, after lengthy cogitations and restorations, Florence finally consolidated its collections of 20th-century art in a new Museo del Novecento. They found a most distinguished (and least modern) home for it in the Ospedale di San Paolo (also called the Scuole Leopoldine) on Piazza Santa Maria Novella, with a charming arcaded facade by Michelozzo (1459) that mirrors Brunelleschi's Ospedale degli Innocenti. Like Brunelleschi's work, this arcade is decorated with terracotta roundels, by Andrea della Robbia, with images of St Francis and his followers; Francis, at least in local legend, was the hospital's founder. The ground floor of the museum is largely devoted to special exhibitions, in the spaces around the stately Renaissance courtyard. On the first floor, there's a good representative collection of Italian art from the 1960s and 70s, as well as an art cinema, and a room devoted to paintings by Florence's own Alberto Magnelli, a major figure of the postwar Concrete Art movement. For the early novecento you'll have to climb up to the second floor—the idea behind the museum's arrangement was to carry the visitor backwards through time. The highlights include several works by Giorgio de Chirico, including one of his Les Bains Mystérieux, and a delightful series of drawings of sets and costumes for Bellini's I Puritani (1933). Also from Ferrara’s Metaphysical school are landscapes by Carlo Carra. There are still lifes by Giorgio Morandi and Filippo de Pisis, Tuscan landscapes by Mario Mafai, Antonio Donghi and Ottone Rosai, and a section of Italian artists working in Paris between the wars, such as Gino Severini. A big part of the second floor is given to the Collezione Alberto della Ragione, the creation of a naval engineer, art patron and collector who left his collection to the city in 1970. 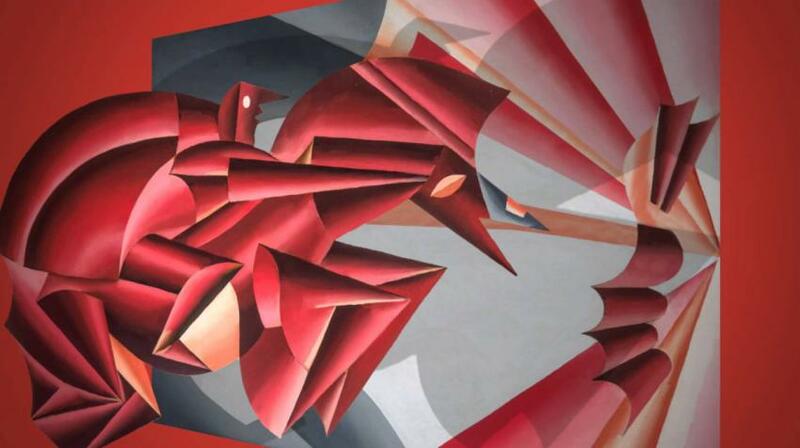 Della Ragione liked Futurists, and went out of his way to collect works he thought neglected by the critics of the day, such as the Nitrito in Velocità a speedy Futurist horse by the famous designer Fortunato Depero (the man who gave Italy the iconic Campari Soda bottle was a pretty interesting painter too). Adm €8.50; €4 reduced, under 18 free.